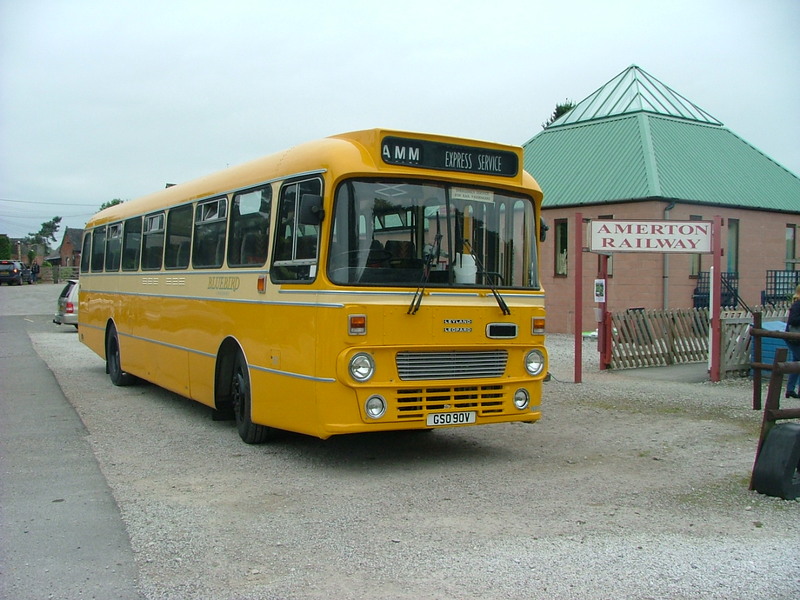 On Saturday 20th June ONLY, a free vintage Leyland Leopard bus shuttle service will operate from Stafford to the Amerton Railway for visitors to the Steam Gala . The bus will leave from the lay-by opposite Stafford Station, near the corner of Victoria Park, using the timetable below. Please note that this is a vintage vehicle and as such has a high step on entry and no wheelchair space. SNGRL cannot be held responsible if circumstances prevent this free bus service from operating as planned. This wonderful bus is shown in the picture below.